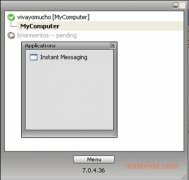 Remobo is an application that has several useful functions for your local network: it allows you to manage a remote desktop, share files on a P2P network, and send and receive instant messages. If you have various computers and you work on a local network, Remobo can provide useful tools to communicate better with the computers of your network. - Remote control of another computer and access to files. - Share heavy files privately. - Launch games and videos. 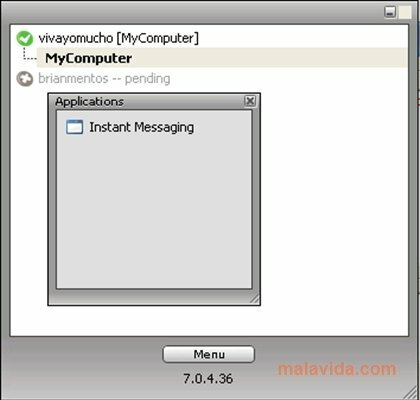 - Send instant messages to other users. Remobo is a secure way to communicate on a local network without any danger from attacks from hackers. 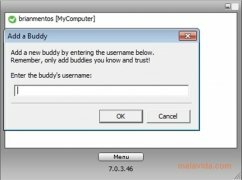 Try out Remobo and open new communication channels between the computers of your local network.